December ~ Get Your Jingle on! Miss Audrey MacPhee (Associate Head of School) and I want to wish you all a Merry Christmas and a Happy New Year! See you in 2018!! Wasn’t I just writing about November?! How is December already coming to an end? As I say goodbye to 2017 and usher in 2018 (and the second half of this school year), I am beyond grateful—to have a loving, supportive, and healthy family; to work in a place like Saint Joseph’s Episcopal School; to be greeted throughout the day with the kindest of words and sweetest of smiles from our wonderful students; to laugh every single day with colleagues and friends (and students! ); and, above all, for God’s blessings. I wish each and every one of you the merriest of Christmases and the happiest of New Years; I can’t wait to see you all in January! Congratulations to our students—and one of our faculty/staff members—who earned St. Francis Awards at the beginning of the month: Kristoffer H. (JK), Lizzie C. (Kindergarten), Liam A. (First Grade), Hannah C. and Kingston S. (Second Grade), Emily C. and Ethan H. (Third Grade), Zoe H. and Gabi M. (Fourth Grade), John L., Trey P., Alivia P., and Luke W. (Fifth Grade), Cash D. and Ryan F. (Sixth Grade), William T. (Seventh Grade), Alex R. (Eighth Grade), and the wonderful Mrs. Arts! For those who do not know, individuals and classes are nominated by administrators, teachers, parents, and/or students for showing the grace and dedication of Saint Francis to their friends, to our school community, and to animals, to name a few. We honor nominees monthly during a Friday Morning Prayer service. Congratulations to Mrs. Emily Carter and Miss Maha Bouhamdan for three successful Christmas shows! The Reichert Center Christmas Musical, the Lower School Christmas Show with A Charlie Brown Christmas, and the Festival of Lessons and Carols were all beautifully performed, showcasing our students amazing gifts and talents! I am extremely proud of everyone and of our Performing Arts program that provides a stage (literally!) for our students to shine. I can’t say enough about how wonderful Santa’s Workshop was this year! Very special thanks to Meredith Housman for being our “Head Elf” and chairing this event! I’d like to also give a special “thank you” to the wonderful volunteers who helped wrap gifts, set up the Parish Hall, help students shop, and/or clean up after the event ended: Audra Agramonte, Kelly Alexander, Michelle Ambrozy-Sasko, Clara Bednar, Sarah Callaway, Marjan Campanelli, Andrew Carter, Abigail Catalano, Chris Chiodo, Trang Dao, Nathalie Doyle, Justine Evelyn, Erika Flynn, Kristine Gobbo, Angela Hammett, Gary Housman, Kelley Johnson, Jennifer Lee, Misty Louthan, Tallon Louthan, Jen Marangos, Regina Marcus, Crystal Murray, Tejal Neelakanta, Jen Pisciotto, Deidra Pitts, Emily Rehak, Cherie Spencer, Lori Stenson, Jaclyn Tafaro, Marjorie Territo, Colette Turner, Kim Webb, and Andrea Whitworth. Special recognition must go to Kitty Taylor, Mrs. Ream’s grandmother and Eighth Grader Alex and Fifth Grader Maggie’s great-grandmother, who helped with set-up by sorting gifts (among other things)—all at 92 years young! This event wouldn’t have been the same without all of you! The annual Angel Tree Dinner is a community service tradition in Eighth Grade. This year, students prepared, cooked, and served a delicious Christmas dinner to close to 150 homeless and underprivileged! Special thanks to all of you for donating the ingredients: Christmas cookies, fruit cocktail, green beans, Cream of Mushroom soup, and dinner rolls. (Ham was supplied by an anonymous donor.) It’s events like these that truly make St. Joe’s the unique and amazing place it is! This month at our Early Childhood Academy (ECA), students held its annual Winter Gala. Christmas carols were sung, and fun activities were completed with teachers and special guests. As always, give Dolores a call at (561) 278-7735 if you need more information on anything ECA-related. They do such amazing things with our littlest ones!! Thank you to those who have so graciously contributed to our Jaguar Fund. We are currently at 50% participation! Please, please get your donations in before Friday, January 12th, especially if you’d like to attend the Thank You Celebration aboard the Lady Atlantic—which is scheduled for Friday, January 26th! Looking ahead to January, school resumes from Christmas Break on the 8th, Parent/Teacher Conferences will commence on the 12th after a 12:00 Dismissal, Unity Day will be celebrated on Martin Luther King, Jr. Day (the 15th), our yearly Open House is scheduled for the 16th, and the end of the Second Quarter is on the 19th. Finally, on the 26th, our annual PO fundraiser, LAPS, will occur—with the Jaguar Fund Thank You Celebration happening that evening. Two recent projects—one in Middle School and another in Third Grade—have brought the STREAM philosophy to life! When different subject areas relate to each other and to the real world, this effective cross-curricular approach allows our students to learn in exciting and beneficial ways! The Middle School’s Hispanic Food Festival asked students to research a Spanish-speaking country and to create a PowerPoint and display board with their discoveries. On the day of the Festival, students became a part of their countries by donning cultural garb and/or themed outfits reminiscent of what they researched. The final touch was providing food samples to visitors to immerse them into the culture of each country. In Third Grade, students recently held Christmas Around the World, where—like their Middle School peers—they had to research a country and create a display board with what they discovered. The catch here was the focus on how each country celebrates Christmas! Along with themed clothing, students offered visitors delicious treats related to their specific country’s customs and traditions. Special thanks to Señora Loredana Quong and Mrs. Maggie Midden for facilitating these projects and for asking our students to “think outside of the box”. As we enter Thanksgiving Break, I can’t help but feel enormously thankful for our Saint Joseph’s Episcopal School community. The faculty/staff, students, and parents truly add something special to my life, and for that, I am eternally grateful. I hope you and yours have a fantastic Thanksgiving, full of family, friends, fellowship, and delicious food! What a fun event last month’s Trunk or Treat was! Very special thanks to the Development Team (Kelly DuBois and Janet Sanchez) for facilitating a spooktacular night, which surpassed last year’s earnings! Thank you also to Heather Johansen for donating and running the evening’s bar—which also included donations from Bo Eaton! It seemed that everyone had a wonderful time, and I must congratulate again the winners of Best Overall Trunk, the Fedele family, for their Jurassic World-themed display. I look forward to next year’s event already! Chipotle Night on the 8th was a success, yielding close to $500! Special thanks to our Parent Organization for working with Chipotle and for planning this event. As I waited in line, it was wonderful to see the entire restaurant completely filled with St. Joe’s families! The next PO event is a Movie Night on Friday, December 1st. Elf will be shown on the field—weather permitting. RSVP to Kelly at (561) 732-2045. Congratulations to our students—and one of our parents—who earned St. Francis Awards at the beginning of the month: Barby L. (First Grade), Matthew P. (First Grade), Lily C. (Second Grade), Cain D. (Third Grade), Taylor W. (Third Grade), Hailey M. (Fifth Grade), Maggie R. (Fifth Grade), Morgan W. (Fifth Grade), Mason F. (Sixth Grade), Michael F. (Sixth Grade), Eric McCabe (Parent), and the Seventh Grade class! For those who do not know, individuals and classes are nominated by administrators, teachers, parents, and/or students for showing the grace and dedication of Saint Francis to their friends, to our school community, and to animals, to name a few. We honor nominees monthly during a Friday Morning Prayer service. This month at our Early Childhood Academy (ECA), students celebrated Thanksgiving with songs and a slice of apple pie! Students are also busy preparing for their December event, the annual Winter Gala. As always, give Dolores a call at (561) 278-7735 if you need more information! Looking ahead to December, one can feel quite overwhelmed… We have three Christmas concerts (Reichert Center on the 5th, Lower School on the 6th, and Middle School’s Lessons & Carols on the 13th), Santa’s Workshop is from the 13th through the 15th (with shopping occurring on the 14th), and students in Grades Five through Eight “show what they know” on Midterm Exams from the 20th through the 22nd. In our SmartLab, a new sign now adorns the wall above the Facilitator’s desk. It illustrates the philosophy of the SmartLab—and STREAM in general. Ms. Cunningham designed it herself, and we are very proud that we’re teaching our students how to learn and to be lifelong learners! It all starts with a question or a problem needing to be solved; then, utilizing problem solving, communication, creativity, critical thinking, collaboration, and self-direction, it becomes an idea or a solution! As the first month of school comes to an end, I must say that Saint Joseph’s Episcopal School is a pretty exciting place! We’ve launched our STREAM initiative, and we are encouraged by wonderful families and a true commitment to our Christian education and mission. As we implement our strategic plan for the 2017-2018 school year, Mr. Swaney, our Board of Trustees President, asked me to note that success is not a time to become complacent; rather, it is a time to become hyper-strategic. Everyone is working hard to create a secure and promising future of significance during these changing times. Let each of us—faculty, staff, trustees, families, donors, and volunteers—commit ourselves to the magnificent work of educating students. Together, may we realize that each act of hospitality, each gesture of gratitude, each act of engaging a student is part of that magnificent work. If we all understand this, then this year of change will truly be a time of opportunity as we work together to make God visible to the world through the creation of a future significance for Saint Joseph’s Episcopal School. I hope you read the updated Parent/Student Handbook, which was sent via e-mail and can also be found on our website by clicking here. If you haven’t, please do so at your earliest convenience. Some changes to be aware of are Distinction/High Distinction qualifications (page 9), Early Dismissal procedures (page 13), and chronic absences/tardies and how they may affect retention, promotion, re-enrollment, etc. (page 15). Our new SmartLab is finished! Ms. Cunningham is in the midst of on-site training this week, learning about all of the exciting things we’ll be able to implement very soon. Look forward to a “Technology Night” in the near future, where we will showcase, among other things, this phenomenal addition to our campus! Prior to Friday’s official ribbon cutting ceremony, students have been enjoying a “soft open” of the new playground over the last week and a half. Based on the feedback (and pictures and videos!) I’ve received, everyone loves this new addition! Again, I cannot thank the Playground Committee—under the leadership of Jen Pisciotto—enough for their determination and hard work in seeing this through. And, another special thank you to all of the donors and to all of the remarkable volunteers who helped with construction, mulch-spreading, and everything in between. I don’t know about you, but I can’t wait to officially unveil our playground on Friday. At the Early Childhood Academy, we celebrated Man in My Life Night last Friday. Dads, grandpas, and uncles joined in Circle Time, sang songs, ate a yummy snack, and saw firsthand how wonderful our ECA teachers are! We’re looking forward to October’s Lady I Love Night, a night to honor the special women in our students’ lives, on the 21st; RSVP to Dolores at (561) 278-7735. The ECA’s yearly Pumpkin Silent Auction will commence on Friday, October 20th, at 7:00 AM, running through Wednesday, October 25th at 3:00 PM. Pumpkins will be on display in the ECA Office on Thursday, October 19th. As we approach October, please be mindful of the following: Episcopal Schools Sunday, which honors Episcopal school teachers and students, is this Sunday, October 1st, at the 9:30 service; the Middle School Retreats will take place from Tuesday, October 24th, through Thursday, October 26th; and, the annual Fall Festival and Trunk or Treat events are on Friday, October 27th. There is certainly a lot to look forward to next month! To celebrate our new initiative and brand, a lovely banner with this year’s theme—“Full STREAM Ahead”—greets you as you drive into the main parking lot. It’s hanging above the walkway that leads to our new SmartLab, the Computer Lab, and Pastor Lynne’s Sacred Studies classroom. A lot of STREAM-related active learning will occur in these spaces! To show my gratitude and appreciation to our amazing faculty/staff members for embracing this vision for Saint Joseph’s Episcopal School—and for all that they do for our students on a daily basis, I gifted them with new STREAM Team shirts! I’m thankful for their support in this exciting new endeavor, and I can’t wait to spotlight the wonderful student-driven activities, experiments, and real-world learning that they will incorporate into their classrooms. As the first week of the 2017-2018 school year comes to an end, I can’t help but reflect on the happiness and joy felt amongst students, parents, and faculty/staff! What a pleasure it was seeing everyone throughout the week! It’s nice to feel like you’ve come “home” after several months on “vacation”. Many thanks to those who facilitated and attended the New Parent Cocktail Party last week! It was great to mix and mingle with our wonderful new families. Please reach out to new parents and students in your child(ren)’s grade(s) often to make sure they feel the SJES love! How about our new playground?! Doesn’t it look amazing? Many, many, many thanks to all of the volunteers who gave their time and talents to the construction and maintenance of this endeavor: Kristina Bosch, Mike Farmer, Georgia Handy, Joe Ilcus, Jen Marangos, Eric McCabe, Chris Peck, Jen Pisciotto, Alvise Pugliese, Tracee Sama, Fred Shaw, Shane Tuner, and Nicholas Vidulich! And, our “Mulch-a-Palooza” night last week was a nice way to start the school year; thank you to those who raked, shoveled, cleaned, and more: Steve Alexander, Mike and Sarah Callaway, Pat Coyle, Gerard and Jessica Glynn (and Keira’s Grandparents! ), Stewart and Stacy Joslin, Lina Lacy, Misty Louthan, Eric and Amy McCabe, Lenny and Jen Pisciotto, Paul Stanley, Kim Webb, John Whitworth, and Eric Wilson. The official ribbon cutting ceremony will take place at our Back to School BBQ next Friday, September 8th, at 5:30 PM! As always, if you have any questions, comments, or concerns, please reach out to the Office, to specific faculty/staff members, and/or to me directly. Since the school year has officially begun, I think it’s important to elaborate on the significance of our STREAM philosophy. 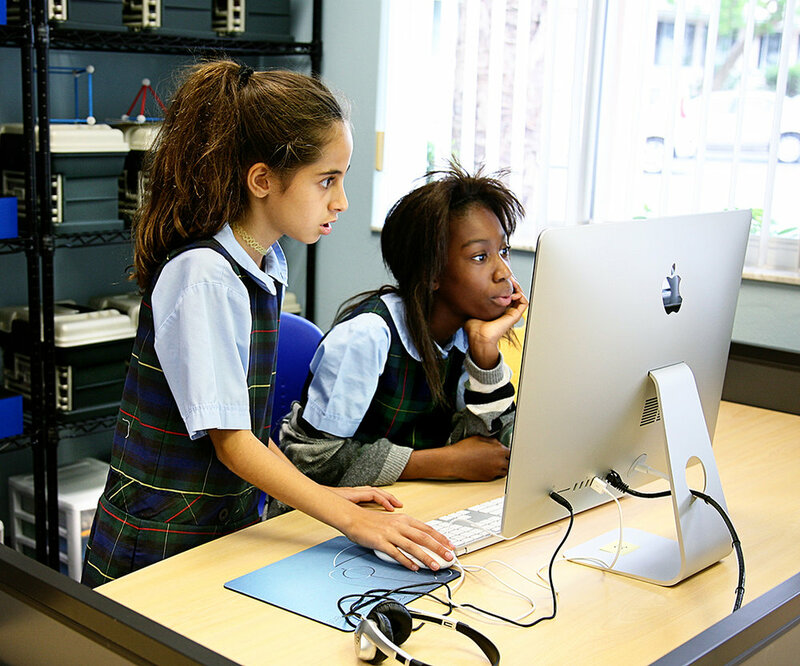 Many schools nowadays have adopted the STEM or STEAM initiative… Since religion is an important part of our identity and brand, what better way to identify Saint Joseph’s Episcopal School than as a STREAM (Science, Technology, Religion, Engineering, Arts, and Mathematics) school?! Under this philosophy, it isn’t so much about the technology we have or the amazing SmartLab we’re building. It’s about how we will continue to challenge our students in innovative and stimulating ways. At the forefront of this initiative is building students’ 21ST century skills—critical thinking, creativity, and collaboration, to name a few. Teachers understand the importance of student-driven learning, where students use a variety of methods to solve real-world problems at their individual level and/or pace. As we move “full STREAM ahead” into our sixtieth year, we want students engaged in active learning by participating in meaningful learning activities—all the while thinking about what they are doing. It’s our mission and vision to build lifelong learners whose minds, bodies, and spirits are nourished in a safe, Christian climate.